1080 – What’s all the Fuss? Each year the New Zealand Skeptics announces the Bent Spoon Award for the New Zealand organisation which has shown the most egregious gullibility or lack of critical thinking in public coverage of, or commentary on, a science-related issue. We can all think of publications which run ridiculous and unbelievable stories as a regular part of their material. 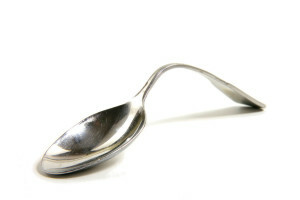 These are not Bent Spoon candidates. Instead we look for organisations and media outlets that tend to command credibility in the mind of the public, and who should have an accurate approach to information gathering and distribution. They are the ones who are rapped over the knuckles with the Bent Spoon when their professional standards lapse. 2018 TVNZ – Seven Sharp & Hilary Barry For coverage of a story about health fears from mobile phone towers. The story featured a woman who has built a wall to keep out radiation after two mobile phone towers were built near her home. While the main segment had some balance, including statements from the Ministry of Health and Peter Griffin from the Science Media Centre. But after the segment Hilary Barry expressed her opinion that she “wouldn’t want to live beside two” phone towers and that she “would be tempted to build a wall like Marta has”. Pharmacy Council for suggesting, when faced with the fact that pharmacists were not complying with their Code of Ethics, that a viable solution was to change their Code of Ethics. 20/20 for reporter Melanie Reid’s August 22 segment “Back from the Dead” profiling Taranaki medium Jeanette Wilson. Justice Minister Phil Goff for refusing to open the can of worms that is the Christchurch Civic Creche case (Goff was awarded the first-ever Bent Can Opener Award from the New Zealand Skeptics). If you would like to support the NZ Skeptics beyond your membership payment, please consider donating to us. Every dollar helps. Copyright © 2015 - 2018 NZ Skeptics. . All rights reserved.